(UPDATED! )The Lucy Clay Tool company is the innovative Czech company that brought us the LC Slicer and the Czextruder. Jiri Strunc, his daughter Lucy Struncova, and Martin Mach design and produce this line of polymer clay tools. Aware of the common problems with cheap craft store rollers and the limitations of even high-end pasta machines, Lucy Tools wanted to make a polymer clay roller that truly met the needs of clayers. The company asked Facebook readers in several polls what features they wanted in an ultimate clay machine. Fast forward a year, the much awaited LC Machine shipped out to the first buyers this fall. The LC Machine comes in two sizes and several variations as follows. LC Mammoth (M12) – NOTE: The Mammoth is no longer being made, but there are two smaller machines, listed below. The largest of the LC Machines, has 10″ rollers and can roll up to ½” (12mm) thick. This is the machine I’m reviewing today. LC Squirrel – This machine is nearly identical to the LC Elephant E12, but has a larger frame and base. I also lacks a leg support on the left side, leaving room to work or to attach an optional LC Vise to hold your Czextruder. Everything about the LC Machine is different from the pasta machines that you have used before. If you sit down with the LC Machine, expecting it to function like a pasta machine, you will be frustrated and disappointed. But if you take some time to get to know the LC Machine, I think you’ll find that it is well-made, functional, and can do things that polymer clayers have always wanted their machines to do. The LC Machine is sturdily built and uses more expensive materials than pasta machines, and many of the parts of the LC Machine are hand-machined. The machines are hand assembled by Jiri and his team in the Czech Republic. The materials used in the construction include stainless steel fittings, aluminum roller supports, powder coated steel frame, and an MDF base. The housing is the same aluminum sandwich dibond material that the LC Slicer is made from, making it sturdy and easy to clean. The handle and the hex nut (for attaching to a cordless drill) are the same construction and zinc coated steel as you’ll find in the Czextruder. In fact, you can use these parts interchangeably. Owners of the Czextruder will recognize the hex nut and crank handle (on the left) that are supplied with the LC Machine (on the right). I found the LC Machine to be sturdy and solid-feeling. It is well-made with no sharp edges. It is easy to clean with a baby wipe. The large white areas of the frame and housing are asking to be customized with stickers (some fun stickers are included), but you can have great fun using colored washi tape to decorate and customize your machine if you’d like. Magnets won’t stick to the frame, however. The Squirrel is a large machine. I find it’s an awkward size to use while on your work table. It’s a bit too large for me to use while seated (and I’m fairly tall). You need to put it on a lower table, such as an old-fashioned typing return. Alternatively, you can stand to use it. I find this works well because it makes adjusting the rollers easier and allows you to look straight down to judge the rollers’ gap (more on this later). A neat feature of the LC Machine is the little “table” that is formed by the top of the frame on the right hand side. The flat area is a perfect place and size for folding over skinner blend sheets between each run through the machine. Here is where the LC Machine’s roller system is vastly and completely different than that of pasta machines and even the Dream Machine. Those machines all use simple interlocking gears to drive and synchronize the rollers. The possible sheet thickness is limited because moving the rollers farther apart (for thicker sheets) means the gears no longer connect. To enable the thick sheets that polymer clayers asked for, Jiri developed a really neat system of driving the rollers using something called an Oldham coupling. (Fellow geeks…you can see it in the machine if you turn it over and look inside.) This allows the rollers to turn together even though they move up to 1/2″ (12mm) apart. Because the rollers have to move over such a large distance when adjusting thickness, the distance between the rollers is not adjusted in the same way as you would a pasta machine. There are no thickness settings such as #1, #2, etc. The roller gap is changed by turning a wheel at the rear center of the machine. This moves the back roller forward and backward, giving a roller gap from zero to ½” (12mm). To change the gap between the rollers, you’ll need to adjust three wheels. This can feel quite cumbersome at first, and it does mean that you can’t switch to exact thickness settings rapidly. The back roller moves forward and backward by turning the large aluminum wheel at the rear center of the machine. Because there is some slack in this mechanism, however, there are two small black knobs that act as a “backstop”. Every time you make a new thickness adjustment on the LC Machine, you need to tighten the backstops to where they just barely touch the roller mechanism. This is the back of the LC Mammoth. The large wheel at the center is used to adjust the distance between the rollers. The two small black knobs are used to secure the width setting in place so that the roller doesn’t move when you use it. Adjusting sheet thickness in this way is not intuitive and you’ll likely be frustrated until you get the hang of it. The “backstop” knobs have to be unscrewed to allow the roller to be moved backward. If you forget to do this, you’ll try to move the roller backward and it won’t go any further. After a while you will get into the habit of loosening and tightening the backstop knobs with every adjustment of the roller. One thing that still drives me nuts is that the small backstop knobs loosen in the opposite direction as the large width adjustment wheel. Your brain just expects them to be threaded the same, but they’re not. Because there are no thickness presets on the LC Machine, how can you set the machine to a #1? Or how can you reproduce a specific thickness setting again and again? The Lucy Tools Company doesn’t give information on how to do this, but here’s how I solved this. I made a set of gauges. Use your existing pasta machine (and a non-sticky durable clay such as Kato or Fimo Professional) to make tiles of all the thickness settings. You can even make tiles that are thicker than your pasta machine will do. Label them, thread them onto a chain, and now you have thickness gauges! You can choose any one (or two or more) to set the roller gap on your LC Machine to a specific setting. You can also use this to make sure the rollers are parallel. For a quick solution, though, you can also make a similar set of gauges by using playing cards. Just tape several together for each setting (1 card, 2 cards, 3 cards, etc). The rollers of the LC Machine are a very slightly textured plastic that minimizes clay sticking to them. Soft and/or sticky clay will still stick, just as with any sheeting machine. The roller surface doesn’t extend the full width of the opening, and sheets of clay can go into the “dead space” at either end. The LC Machine doesn’t come with width limiters, but what they call “guides” are available as an optional accessory (see below). Because the rollers aren’t very “grabby”, you sometimes have to push large chunks of clay into the machine. I’m sure you could break the machine if you tried to push too much clay too hard. But this machine is not fragile like a pasta machine and you don’t need to worry about it binding up when using large amounts of clay. It easily powers through heavy loads of thick, stiff clay. When you turn the crank of a normal pasta machine or the Dream machine, the rollers turn once for every turn of the crank. This is a 1:1 gear ratio. The LC Machine has a 2:1 gear ratio, which means that the crank turns twice for each turn of the rollers. That means that the force required to move the clay through the rollers is reduced by half. You can push thick sheets of stiff clay through the rollers and it’s not difficult to turn the crank. Because of this, a motor is not as necessary with the LC Machine as with your Atlas or Dream Machine. The flipside to this is that you have to crank twice as many times for every sheet as you do with the same size sheet in a pasta machine. The LC Machine’s gears don’t clunk together, so there is no ticking sound when you crank the handle. The action is smooth and there are no horizontal ridges that show in the clay. The crank handle threads onto the machine and is secured by tightening two nuts with the supplied small wrench (it’s the same as the one used with the Czextruder.) The Elephant is shorter and it uses the same size crank as the Mammoth, so the handle barely clears the table when cranking. This leaves no room for your hand. Therefore, the Elephant is limited to being placed on the edge of the table, so the handle has room to turn, or you can raise it up. The LC Machine’s rollers can be set with as little gap as you need, so conceivably, you could make microscopically thin sheets. But the limitations of polymer clay do start coming into play. Sticky or soft clay will ripple and chatter with this machine on thin settings. (And super soft clay will get caught on the rollers even at thicker settings, for that matter, but it is easy to clean off.) If you want to make super thin sheets of clay with the LC Machine, Lucy Clay Tools suggests using plastic sheets. You can see this process illustrated in a video here. Lucy Clay Tools does sell the plastic sheets, but you don’t have to use theirs. You can use laminating sheets, transparency sheets, or plastic page divider sheets for a 3-ring binder. I found that using plastic page protectors didn’t work so well because the plastic is too thin. You want it thick enough so that you can slide a blade down it to peel off the clay sheet from the plastic. Thin plastic bunches up. This is also why plastic wrap or deli plastic doesn’t work so well for this. Also, thin plastic wraps wrinkle and form marks on the clay. Note that you do need to increase the thickness between the rollers to allow for the thickness of the plastic sheets. Otherwise, the sheet/clay/sheet sandwich won’t fit into the machine nicely and rolling it makes the clay lump up. The Mammoth is quite large, but I found that this $15 adjustable-height table works nicely for it. This way I can turn my chair and face the Mammoth directly. When the table stars to move during heavy cranking, I just put my feet on the base of the table to hold it steady. The LC Machine holds to the table by using magnetic feet. To make placement of the metal plates easier, turn your machine over and place the metal plates onto the magnets. You’ll instantly see how strong they are! Now apply the tape to the metal plates. Peel off the strips, then invert the machine and place it where you’d like onto your table. It’s stuck tight! To remove, just tip the machine backward. You’d think it would rip off the adhesive strips, but I was amazed at how easily I could remove the machine and yet how strong the hold was! The adhesive might mar your work surface, but hopefully a work surface is for working and this isn’t an issue. Without a blade to lift the sheet from the roller as it goes around, your clay would just spool onto the roller like a roll-up window shade. So blades are important! But polymer clay tends to build up on the blades, making it necessary to clean them from time to time. Otherwise, the built-up clay will come back out and leave “pasta machine poop” on the next sheet. You can easily remove the blades of the LC Machine, and the blade itself is replaceable. Just unscrew two thumb screws for each blade, and the entire assembly removes. It cleans easily with a baby wipe. To clean the blades, just remove the thumbscrews that hold the blades on, remove the blade assembly, wipe it clean with a baby wipe, and re-install. I timed myself, and I cleaned both front and back blades in 3:26, without having to turn the machine over. Like I said above, the hand crank works with a 2:1 gear ratio and is therefore easy to turn, even with thick clay. You will likely not need a motor. Lucy Clay Tools has looked into producing a motor for the LC Machine (and I’ve discussed it with them) and there are technical reasons why a suitable motor would be extremely cost prohibitive to produce. Because of the torque required, a cordless drill is actually one of the best types of motors for the LC Machine. Since they are inexpensive and readily available around the world, it’s just logical to pursue making your drill work to power the LC Machine. The included hex nut threads onto the machine and this fits into your cordless drill in the same way as a drill bit. To make this arrangement hands-free, you could use a clamp on the trigger of your drill. The company doesn’t recommend this for safety reasons, however, and they are working on a method to modify your drill to include a hand switch. By the way, in all the documentation and Facebook posts about this machine, Lucy Tools has repeatedly spoken of an “Accu” driver. I’m pretty tech savvy, yet I had no idea what that was. I just assumed that was a name they had developed for a new motor assembly. No, this is an example of the language barrier that we face in our new international world! Actually, “accu” is short for accumulator, and it’s another word for a battery. (My British husband had to help me with that one.) So an “accu-driver” is a merely cordless drill, as pictured above. Isn’t language funny! You can order replacement parts and accessories for your LC Machine from the Lucy Clay Tool Company. Currently you can buy plastic sheets for making thin clay sheets, replacement hex nut, additional metal foot plates, and width limiting guides. This two-piece stainless guide accessory is intended for limiting sheet width. The right side bolts into the slot on the front of the machine. The left side attaches to the machine with foam tape. I have to say, these guides aren’t very well designed. Frankly, they don’t work. The one on the right does work, but has a sharp edge that catches the edge of your clay sheet and it allows thin sheets to slide underneath it. The guide on the left, however, does nothing to keep the clay sheet on the rollers. I shared my thoughts with Lucy Tools about this and suggested an alternative design, but this has not happened. Personally, I think the company should make this item a priority because it is SO important in canemaking to have width-controlled skinner blends. The right guide is functional (but I still dislike it), and I end up using my finger to control the width on the left side of the sheet as I roll it through. It works, but I expect better from a machine of this caliber. Anytime there is a new product on the market, it’s normal to wonder what are the pros and cons. So I know you’ve been eager to read this review and I appreciate your patience while I put this article together. There is a lot to say here! What is my verdict? I like the machine. There is good, and of course, there is bad. My inner geek loves this machine. I love the fact that a company in Europe can ask a bunch of clayers what features they need and then produce the machine! Kudos to Lucy Clay Tools for all the effort and expertise. This is a well-engineered and beautifully crafted machine. I love that it is strong, durable, and can handle all the clay that you push through it. I love that you can clean the blades easily, without having to turn the machine over. Most clays don’t stick to the rollers. I love that you can adjust the rollers to any thickness you want. I love that you can attach this to a table with the magnetic feet and then lift it off and put it away when you are ready to do another craft. Not all of the things I dislike about this machine will be relevant to all clayers. But I want to describe them fully so that you are aware of them and can make your buying decision accordingly. As I mentioned previously, the housing doesn’t sit up against the rollers, so the edges of any sheet will be jagged and messy unless you use guides. And the currently available guides are unsuitable. There were improved guides on the timeline, but the company has not shared more information about them in over a year. There are no settings to ensure you have consistent clay thicknesses. The numbers on the large wheel on the back are arbitrary and rather pointless because of slack in the wheel mechanism. Also, clay from your hands will build up on the wheel, degrading the printing on the sticker. It’s hard to remember which way to turn the wheel, though, the sticker on the body does tell you. While I have become used to it, the multi-step wheel and knobs setup is a complicated way to set thicknesses. If you are a fast and furious clayer, this is going to drive you nuts. If you turn the large wheel rapidly, your fingernails catch on the edge of the body of the machine, and it’s uncomfortable. I’d like to see a different sort of handle on this wheel to make turning it easier. The thickness setting gauge stickers on the machine are not accurate. Even when set at zero inches/mm gap, there is a visible gap between the rollers. Okay, this is nitpicking. But it annoys me that a machine that’s so clean and smooth and easy to wipe clean has these depressions where the legs fit onto the base. Clay crumbles collect here. It would be so nice if there was a cover here to keep clay out. You could easily make something to fit across the entire base to cover these areas and make cleaning easier. For such a large machine, it annoys me that the crank handle has such a thin and narrow grip on it. It is smaller than my hand, so it feels uncomfortable (but not painful). Sure, you could fit some sort of a grip on there, and perhaps that’s a customization option for you. I can’t really call this a fault of the machine, because all machines do it, but I do wish that ultra thin sheets of soft polymer clay wouldn’t ripple. Since a badly tuned machine can cause this, it’s easy for us to assume this is the fault of the LC Machine. But I do fear that this is just “the nature of the beast”. This machine isn’t really any better at it than my Atlas in this regard. Kudos to the Lucy Clay Tools team, though, for coming up with the idea of using plastic sheets to help create thin sheets of clay. The documentation for this machine (as with all the Lucy Tools) is excellent. The included instruction manual is incredibly detailed and there are many videos online that help you know how to use and service this machine. You can find the series of LC Machine Instruction videos here. There are so many videos and promo pieces about these tools, though, that it’s sometimes confusing and hard to know which are relevant now and which are info about prototypes. If you do need to seek customer service from the company, I recommend using few words and getting straight to the point. Limited English proficiency means that idioms and long phrases can be poorly understood. Keep good notes and communicate with direct emails or messages rather than by using Facebook groups. Just because Jiri is active on Facebook groups does not mean that’s the best way to connect with him about a problem with a purchase. You can go to the Lucy Clay Tools website to buy any of the Lucy Tools. You’ll choose USA or EU (Canadian customers can choose the USA option). The LC Machine ships directly to you from the Czech Republic and you will usually receive your order in 2-4 days. Trackable shipping methods are used, and it’s great fun checking online to see the progress of your package through the international shipping system! Don’t miss the summary that ties up this series of articles and gives my recommendations for what is the best pasta machine to buy for various scenarios. Disclaimer: Many thanks to Jiri Strunc and the team at Lucy Clay Tools for providing me with the Mammoth LC Machine and the LC Squirrel and for answering my many questions. As with all of my reviews, my opinions are always my own, regardless of where the products come from. It’s my goal to be as honest, informative, and helpful as possible! You’re my clay guru. But I’m not happy with this review because now I have to start saving up for a machine. Sigh. Seriously, though, you’ve gone way above and beyond what I was expecting from a review, pointing out the problems and how to solve them and explaining the adjustments one has to make in thinking about clay rolling. The clay world owes you a huge amount of gratitude. Thank you thank you thank you…. That is so funny, the review turned me off completely. *I need a motor that can be used by clicking a switch and that is attached safely to the machine. * Everything about thickness adjustments sounds cumbersome and time consuming. * Dials need to be engraved and not coated with something that comes off easily. * MDF base in such an expensive tool is just not good enough. * Bolts on the Extruder handle can seize up, so what f it does in the psta machine. * Rollers not grabbing clay is just not good enough. *Plastic roller surface will eventually be prone to cracking and also get nicks and dents – not suitable for working with inclusions. * Customer service is absolutely atrocious and tedious. It is not just a language issue. *If the initial guides re useless, they should be replaced free of charge. Customers don’t pay to be guinea pigs. Well done for writing such an honest review. It shows that the newest thing on the block is not necessarily the best, especially at the price. Isn’t it wonderful that we all have so many choices? A couple of points, though. The MDF base is very nice and quite strong. It’s certainly not a cheaply made material. Also, the plastic rollers aren’t an issue if the plastic is high density enough. The plastic they used is really quite hard. It’s not “dentable”. My steel AND my aluminum rollers on my Atlas machines have scratches and dents (never let your kids play with your pasta machine), so it’s not like metal is always perfect. Great review, Ginger! I also tried putting the vinyl completely over the scraper. It seems to work just fine and it’s easier to apply. I corrected the width guide stickers on my machine because, as you mentioned in your review, they weren’t accurate. First, I very carefully peeled them off and stuck a 1/4″ strip of non-stick paper underneath the zero end–just enough to allow me to slide the stickers under the metal housing without them sticking. (For non-stick paper I used the slick paper that sign vinyl or Contact paper comes on.) Then I set the machine to zero so the rollers touched and I slid the stickers back under the metal housing until the edge lined up perfectly with zero and re-adhered them. I just left the non-stick paper as it seemed too difficult to pull out without messing up the sticker. My width controls just arrived this morning. Aack! I wish I’d read your review before I ordered them. I also ordered some plastic sheets for rolling thin clay. I did find that Souffle will roll really thin without plastic sheets. Great review Ginger, I was so looking forward to this one. although I have no LC Clay machine purchase in my future, it is always nice to know the pros and cons of these machines. Having to turn 3 different dials and then turn the crank twice for each turn would drive me nuts especially after using my motorized dream machine for so long, so I can see why some new owners of this machine are having such a hard time. I love the LC Slicer, and the CZextruder, but sometimes even I will grab my old Makins extruder for a quick job to keep from going through all the hassle of clean up. I doubt that the new Clay machine owners will be quick to put away their old ones. Looking forward to your next tutorial! I think there will continue to be a place for regular pasta machines. They’re just so handy. Thank you for such a detailed and balanced review. I might save up and wait for the next version (assuming there is one). Though it does sound much better than my current pasta machine, I know that a few of the negatives would really annoy me, especially for the price. If you live in Australia, you need to sign up through the USA option. I’m in Australia too and can’t see where to buy this. What do you mean by ‘…sign up through the USA option’ Kate? Love your in-depth review, Ginger! I’d considered pre-ordering one earlier this year, but decided that it was just a bit too much of an expense right now. After reading your review I’ve decided that I’m quite happy with my Monafied Atlas. The big, big plus for me is being able to clean the blades. So helpful to read through all these points in one place. I’m very very tempted by the elephant. I can think of a bunch of ways to use the infinite settings feature. I just wish there was some easy way to get the standard measurements as well. 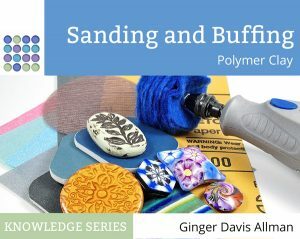 Have you tried using thick texture sheets with clay and running them through the machine? I’m most excited about this. So useful for mokume gane. Although I did try cranking your machine and it was super easy, I really really wish someone would come up with a QUIET motor for a clay machine. Making skinner blends is so much faster with a motorized machine. I’m not very thrilled with the drill solution. I have a super cheap drill for the extruder that I use rarely. It’s noisy, heats up very quickly and occasionally gives out an alarming puff of smoke. I have no interest in using it or in getting a better drill. Sigh. That said, given the promise of better width control and the wee discount codes I have, I might just get the Elephant. Though as someone else commented, I don’t think it’ll replace my Atlas, which is quite sad. I’ll wait for you final recommendations before I buy though! I didn’t write about texture sheets, but yes, it does work well. Your Atlas is a nice one, having it modified will be very helpful. The standard settings can be done either with the gauge sheets like I made or by marking the settings on the top of the machine like Phyllis Cahill has been demonstrating on the Polymer Clay Tools Facebook group. Still, I’m not *too* terribly broken up about it, as the thickness setting on the device sounds as if it might be a deal breaker. I’m one of those who clays fast, and I also take great pride in my nails. A clay machine ne which keeps cracking, splitting, or breaking my nails is something I can’t use. Thanks for telling us every possible detail (well, save for one)! I’d been dying to hear about this machine, and this was terrific! Now I can make a decision about whether I want one, once I discover how much it costs, anyway. Totally off-topic: is that a tanzanite on your left hand? A deep bluish-purple tanzanite is the most beautiful stone of all, isn’t it? I wanna get a tanzanite and pink sapphire ring one of these days. I love it, whatever it is; it’s gorgeous! I didn’t include the price because it’s going to be different depending on your country, and I try to not be toooo US-centric. It’s just a couple clicks away in the Lucy Tools store. My ring is a sapphire, actually. I looked a long time to find one that is more purple than aqua. It’s my engagement ring from the love of my life. We’ve been married 7 years now. Not a scratch on that stone, either…rather surprising since I wear it all the time. I really enjoyed this review Ginger, as I did with the other PM reviews. I have to wonder a moment though, why LC didn’t give you their machine to test before they made their final production. It would have saved them much grief with all the “Cons” you brought up and need addressing. Thank you for such dedication in keeping us so informed. I feel like you compose your reviews and tutorials as if you were sitting right beside me and talking directly to me! The Best! Thank you for the thorough review, Ginger! I’ll admit I had higher expectations for the first run of this machine. Hopefully, the LC team will figure out a way to address the cons and make the next run even better. I am tentatively putting the Elephant size on my list for next year. The customer service issue is more than a language barrier. Early this year, Jiri had asked people to come up with a name for the machine and promised a free one as a reward to the person whose suggestion they end up using. I suggested “LC Machine” which is what they’re calling it. But Jiri is not keen to deliver on that promise now. That is not a language barrier. Hi – if you look at the January 13 poll for suggesting a name for the machine you will see that it was Vickie Siemon who suggested the name LC Machine. Don’t feel bad tho – I have not received any answers to my emails or received a machine either so I am guessing that they are not planning to honor the winner no matter who it was. I have a screen shot of the poll with myself as the winner and I totally agree that the customer service could be 100% improved when you can’t even get them to answer an email. I have purchased several of their products too so I was a customer as well. I cannot fathom that they would actually choose not to keep their word but if you have written them and I have written them and they are not getting back to either of us or awarding the prize then I would imagine everyone finding out about that will be disappointed in knowing that and wonder if they can ever trust this company. Enough complaints about poor customer service will definitely hurt their business here in the U.S.
Here’s hoping one of us gets declared the official winner but I’ve stopped holding my breath. I was going to purchase an LC Machine if I didn’t win one but I won’t be doing that now nor will I ever purchase anything from them again if they don’t award the winner. If you end up being declared the winner please come back and let us know here and if I get declared the winner then I will come back and let people know that they kept their word. Vickie, that poll was posted at 0728 that morning and I posted my suggestion in a comment 14 minutes later, before Jiri edited his post to say one word only. I also added it to the poll. I see your name as one of the votes. But you’re right, it’s a moot point as he doesn’t intend to honor his promise. Jiri, this was not a misunderstanding, unless perhaps it is deliberate on your part. You specifically asked for suggestions where a domain was available. I had suggested LC Machine, you subsequently bought lucyclaymachine.com, which redirects to your website. A quick look at whois reveals no one could/should have suggested Mammoth, Elephant, or Constrictor as these domains are owned by other entities. I think readers get the gist of the situation as it’s relevant to their possible purchasing decision, but this isn’t really the place to discuss this conflict in detail, so let’s share further comments on this privately. You know where to reach Jiri. Thanks! Do you really want a ‘Mammoth’ Lucy Tools Machine? I thought I did, but have found it to be about 3″ too long for my work space. (I can’t turn the crank without hitting a cabinet that can’t be moved.) So here is my offer. You buy an ‘Elephant 12’ and get it to the US. Then we will exchange Machines. The ‘Elephant 12’ is $70. cheaper and both have free shipping, so you will make a bit of money on the deal even with our shipping cost to each other. I’ll leave this here in case anyone wants to contact you directly. Personally, I’m fine with my Mammoth. It’s big, but then I only use it for BIG things. Otherwise I use my Atlas for quickie and small tasks. I was frustrated with the width guides that came with my mammoth machine. The one on the right-side can slide up to the half way and the one on the left is fixed at the end of the roller which does not stay put. So, I decided to modify them allowing me to (1) slide both of them where I want it for creating narrow width skinner blends, and (2) making the left width guide snuggly stay put. What I did was made a “C” bracket out of sturdy metal strip that can be repositioned anywhere on the entire width of the Mammoth rollers and attached the left width guide with double sided sticky tape. I also glued some foam on this “C” brackets so it does not scratch the machine as well as keeps the bracket in place. I applied some silicone parchment papers on both the width guides allowing the clay to smoothly slide along the bracket. The top edges of these width guides will catch the clay when rolling the clay but these silicon-coated papers will help avoid it. This modification seems to help. I have posted details with photos on LC Machine Owners FaceBook page – not sure how to post pictures here..
Ooh, very good information. I will seek out that post on the Owners group. Thanks for sharing. apart from cons: imo costumer service is really important after placing an order – and paying so much money for ex. in case of buying an LC Machine – I bought items in every part of the world without having so many difficulties to explain my needs as it happened to me when I placed an order for LC cutters. I’m sorry you had a bad experience, Alessio. I’m sure that was very frustrating. Every company has its challenges and not every connection is a good fit for everyone. Isn’t it good that we do have other choices! Thank you for your input. Ginger, This is the best review I have ever read about any machine. I appreciate your thoroughness. You attacked every aspect of this machine. I was excited about your positive comments and shuddered about the cons. I was planning to buy one immediately because I have fallen in love with Kato Poly clay. It is so stiff for my Atlas. However, I think I will wait until the next version to purchase. When I pay a hefty price for a machine, I expect to have many of the bugs eliminated. Thanks again. Ginger, I have the money for the Mammoth 12. Has the company made any improvements? Please let them know that I am waiting. Thank you. Hi Gwen, I don’t know what Jiri and Lucy have in mind for the Mammoth. You might want to contact them directly.